A collaborative research team from Oxford University and France’s National Institutes of Health and Medical Research (INSERM) have successfully used focused ultrasound neuromodulation to affect the memory behavior of macaque monkeys. As recently published in Nature Neuroscience, the teams – led by Jerome Sallet and Matthew Rushworth at Oxford’s Wellcome Integrative Neuroimaging laboratory in the Department of Experimental Psychology and Jean-Francois Aubry at Physics for Medicine Paris laboratory (INSERM, ESPCI, CNRS, PSL Research University) – designed and carried out experiments to test whether focused ultrasound could be used to determine which region of the brain influences decision making. The 87th Annual Scientific Meeting of the American Association of Neurological Surgeons (AANS), which was held in San Diego, California, on April 13-17, 2019, was an excellent opportunity to highlight progress in the focused ultrasound field. More than 2,000 neurosurgeons from around the globe attended the conference, making this one of the highest profile meetings in the clinical neurosciences. A public-private collaboration in Lyon, France, is underway to develop an alternative therapy for standard prostate cancer treatment. The clinical trial phase of “PERFUSE” recently began enrolling patients, an important milestone in this multi-faceted project. Mirabilis Medical, Inc., the developer of a noninvasive therapeutic ultrasound system with an initial application for the treatment of uterine fibroids, appointed Wayne Poll, MD, as their new CEO. As an ideal follow-up to the FDA’s brain metastases workshop, the Society for Neuro-Oncology (SNO) will hold its first conference on brain metastases in August 2019. Scientists and physicians from around the world met at AACR 2019 in Atlanta, Georgia from March 29 to April 3 to learn about the latest discoveries across the spectrum of cancer research. The meeting covered a wide range of topics, including population science, prevention, cancer biology, translational and clinical studies, and survivorship and advocacy. This annual conference highlights the best international work in research and medicine. On March 22, the Foundation’s Director of Clinical Relationships, Suzanne LeBlang, MD, and more than 250 researchers, industry professionals, and patients attended a day-long workshop titled “Product Development for Central Nervous System (CNS) Metastases,” which was co-sponsored by the US Food and Drug Administration (FDA) and the National Brain Tumor Society. Last month, interventional radiologists gathered in Austin for the Society of Interventional Radiology (SIR) 2019 Annual Meeting. Alan H. Matsumoto, MD, FSIR, Chief of Radiology at the University of Virginia Health System and Clinical Director of the UVA Focused Ultrasound Center, was chosen to present the 35th Annual Charles T. Dotter Lecture. This award is selected by the SIR president based on extraordinary contributions to the field, dedicated service to the society, and distinguished career achievements in interventional radiology. In May 2018, Foundation scientists released Kranion, a highly visual and interactive, open-source transcranial focused ultrasound modeling system for conducting research. Kranion allows scientists to “see” how the paths of focused ultrasound’s invisible sound waves behave as they pass through the skull while aiming for a particular target in the brain. More than 30,000 radiologists from around the world (a new attendance record) gathered in Vienna from February 27 through March 3 for the 2019 European Congress of Radiology (ECR). The Intraoperative Imaging Society (IOIS) held its 7th society meeting March 13-16, 2019, in Houston, TX. On invitation from IOIS, the Foundation’s Brain Program Director, Francesco Prada, MD, collaborated with Geirmund Unsgärd, MD, Professor and former Chief of Neurosurgery at St. Olav's University Hospital of Trondheim, Norway, to host a practical course on intraoperative ultrasound that attracted approximately 50 attendees. Scientists at the Feinstein Institute for Medical Research’s department of bioelectric medicine collaborated with colleagues at GE Research to study the use of focused ultrasound to regulate the body's metabolic and inflammatory systems. 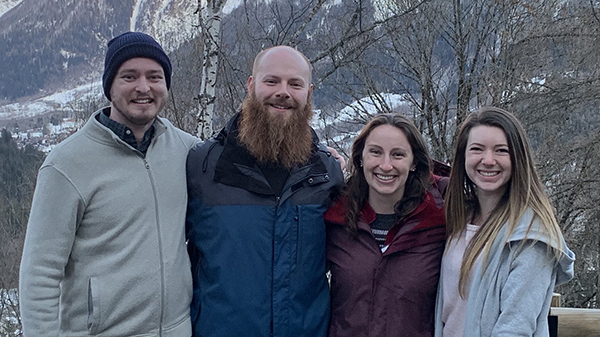 In early March, veteran researchers and students across the field of focused ultrasound convened in Les Houches, France, for the 2019 Winter School on Therapeutic Ultrasound. Held biennially, the School offers an excellent opportunity for those early in their career to meet and connect with experts in focused ultrasound. The educational agenda included lectures from esteemed researchers in the field. This year, the Foundation sponsored seven students to attend the Winter School. Learn more about each student, their research, and what they found most valuable about their experience at the workshop. A Foundation-funded project at the University of Michigan was recently completed. 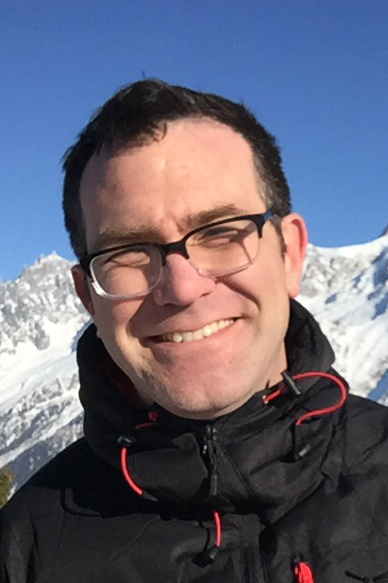 Jonathan Sukovich, PhD, sought to develop advanced methods for real-time monitoring and localization of histotripsy-generated bubble clouds during transcranial treatment. Imperial College Healthcare National Health Service (NHS) Trust is the largest teaching and research trust in the United Kingdom. It includesfive hospitals in London: Charing Cross Hospital, Queen Charlotte’s and Chelsea Hospital, Hammersmith Hospital, St. Mary’s Hospital, and Western Eye Hospital. Peter Gabriel is a musician. He founded the group Genesis with a bunch of friends from school. Since leaving the band in 1975, he has pursued a solo career releasing albums and film scores. In 1980, he founded WOMAD (World of Music Arts and Dance), which has presented 170 festivals in over 30 countries. In 1992, he founded Witness.org, pioneering the use of cameras and technology in human rights work. He also founded theElders.org with Nelson Mandela and Richard Branson in 2001, to bring together a respected group of world leaders, whose influence stems not from political, economic or military power, but from experience, integrity and wisdom. His other work interests have been in innovative technology, especially in digital media, audio, music, visual language and more recently healthcare. Bestselling author John Grisham calls it “the most important book I’ve ever written,” and now his short book The Tumor is available as an audiobook – with an introduction read by the author himself. 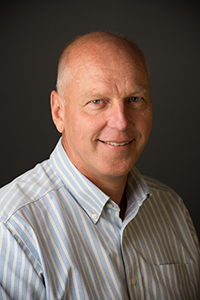 In a recent press release, the University of Queensland (Brisbane, Australia) announced that it had received $10 million in new funding from the Federal Minister for Health for a focused ultrasound project led by Professor Jürgen Götz, Director of its Queensland Brain Institute’s (QBI’s) Clem Jones Centre for Ageing Dementia Research (CJCADR). As part of the Centre’s comprehensive research program that seeks to discover solutions for various aspects of dementia, the investment is earmarked to launch a phase 1 clinical safety trial to treat approximately 10 patients with Alzheimer’s disease via opening the blood-brain barrier (BBB) with focused ultrasound and microbubbles. In July 2017, an exceptionally generous, anonymous donor pledged $10 million of unrestricted funds to be matched 1-for-1 by 2022. This transformative gift inspired donors who recognized the opportunity to fund more focused ultrasound research, more quickly, and appreciated that their contribution would be doubled. Thanks to their support and enthusiasm, the $10 million match was met in November 2018. Using microbubbles and focused ultrasound to open the blood-brain barrier (BBB) or deliver therapeutics (i.e., drugs or biologicals) are both growing applications for the field. We often refer to the role of focused ultrasound, but what about the microbubbles? How many types of microbubbles are on the market and approved by the FDA? How do the various microbubbles differ? Are there new microbubble products in development? Vesselon is a company that is addressing these questions. We interviewed CEO Clay Larsen to learn more. Sunnybrook Research Institute, the research enterprise of Sunnybrook Health Sciences Centre, and the Gairdner Foundation, an organization that recognizes and rewards international excellence in fundamental research that impacts human health, recently hosted a two-day symposium entitled "Changing Medicine Forever" to explore advances in focused ultrasound to treat the brain. Held in Toronto, November 20-21, 2018, the event opened with keynote lectures from TV icon Alan Alda and physicist Brian Greene. On the second day, leading scientists and clinicians discussed the latest in focused ultrasound research and techniques to treat brain tumors, Alzheimer’s disease, and psychiatric disorders, as well as ways to use focused ultrasound in blood-brain barrier disruption and immunotherapy. As the focused ultrasound field grows, an increasing number of pioneering researchers are being recognized for their innovative work to advance this technology. Recent award recipients include Frank Wolfram, PhD, Kullervo Hynynen, PhD, Charles Cain, PhD, Elisa Konofagou, PhD, and Yun Jin, PhD. We ask the community to please notify us of future awards that we should acknowledge. An issue that limits precise visualization of the brain during focused ultrasound treatments—essential tremor and Parkinson’s tremor, for example—is that the coils that apply the focused ultrasound beam can interfere with the imaging coils within the MRI. Treating physicians could potentially gain faster and clearer view of the treatment area if this interference was reduced or eliminated. 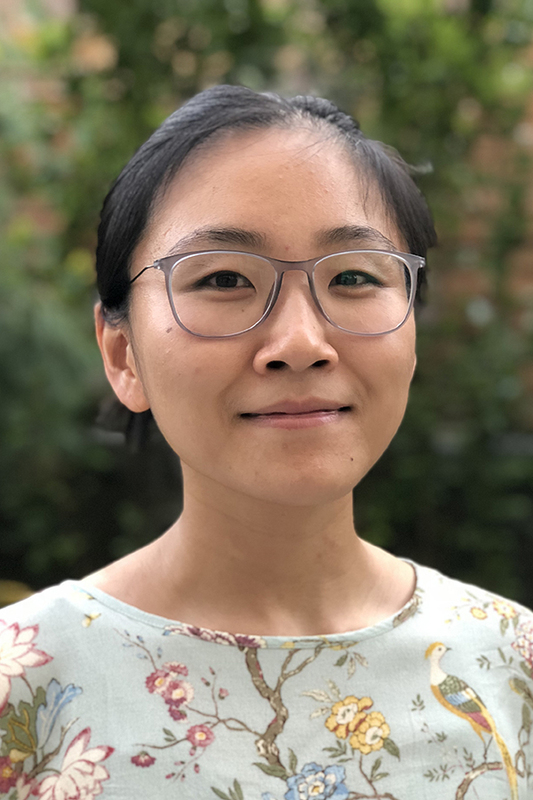 Charlottesville, Va., Dec. 3, 2018 – Syaru Shirley Lin, PhD, has been elected to the Board of Directors of the Focused Ultrasound Foundation. Previously, Lin was a partner at Goldman Sachs, where she led the firm's efforts in private equity and venture capital in Asia. She also spearheaded the firm's investments in many technology startups and was a founding board member of Alibaba Group and Semiconductor Manufacturing International Corporation. Last month, a record number of clinicians, scientists, and industry representatives from around the globe convened in Virginia for the Foundation's 6th International Symposium on Focused Ultrasound. Still more attended virtually via the livestream. Scientific presentations focused on the latest research in neurological indications like Alzheimer's, brain tumors, epilepsy, Parkinson's disease, and psychiatric disorders. Cancer immunotherapy, veterinary medicine, and applications for focused ultrasound in the liver, lung, and pancreas were also among the important topics discussed. The presentation videos are now available, and a summary document will be distributed in the coming weeks. The scientific presentations and keynote addresses are now available on our Symposium YouTube channel. The videos cover the full program and are divided by topic. Among the 250 outstanding presentations at this year's Symposium, we've selected a handful of talks as an example of leading edge research in the field. Held biennially at the Symposium, the Foundation’s media briefing offered press, patient advocacy groups, and other stakeholders an update on the exciting developments in focused ultrasound. This year, researchers and clinicians highlighted advances in cancer immunotherapy and opening the blood-brain barrier (BBB). A recording of the eventis now available. See media coverage from Physics World. Gary Shapiro, President and CEO of the Consumer Technology Association (CTA),™ delivered a keynote address entitled, "Why Focused Ultrasound and Other Innovations Must be Allowed to Flourish." During his talk, Shapiro debuted a video featuring Julia, an essential tremor patient whose life was changed by focused ultrasound treatment. The video was produced by CTA’s Let’s Go Humans initiative. Scott Whitaker, President and CEO of the Advanced Medical Technology Association (AdvaMed), took part in an onstage interviewwith the Foundation's Chief Scientific Officer Jessica Foley, PhD. He spoke on the trends he sees in the field. "It feels like the front edge of a golden age for medical technology. You're beginning to see a convergence of traditional medical device technologies with traditional IT technologies coming together to create new and amazing ways to treat and cure diseases." Mary Lou Jepsen, PhD, CEO and founder of Openwater, spoke on the final day of the meeting about her current project to develop a wearable device that could transform medical imaging. She explains, "I set out to put the functionality of a big MRI machine into a wearable [like a ski hat or a bandage]..." using what she calls "the tools of our time: consumer electronics, machine learning, and big data." On Sunday evening, two leaders were recognized for their contributions to the field of focused ultrasound. Seung-Schik Yoo, PhD, MBA, of Brigham and Women's Hospital, received the Ferenc Jolesz Memorial Award. Honoring the life of Ferenc Jolesz, the award recognizes and encourages an innovative spirit in researchers advancing focused ultrasound. The Foundation's Visionary Award was also presented to technology pioneer and entrepreneur Narendra (Naren) Sanghvi, PhD. This honor recognizes an individual who has created a larger vision for what the future of focused ultrasound may hold. Congratulations to Drs. Yoo and Sanghvi. This year, 12 scientists received Young Investigator Awards and presented their research during the Symposium. Eight young investigators gave oral presentations on their data, while all participated in the Tuesday evening poster session where they had the opportunity to highlight their work and discuss their projects with colleagues. Receiving the highest peer-reviewed rating among submissions from the Foundation's 2017 and 2018 Global Interns, Qingxi Brooke Ma’s abstract, entitled “Effects of focused ultrasound on delivery of intranasal GDNF DNA nanoparticles to the rat brain” earned her travel support to attend and present her work at the Symposium. Brooke worked in collaboration with Brigham and Women's Hospital and Northeastern University. The Foundation is grateful to everyone who worked with us to make this year’s Symposium a success. The Foundation team planned and executed all aspects of the scientific plenary program. The scientific program committee reviewed, scored, and selected the research presented both orally and in posters. The Honorary Symposium President, Dr. Pejman Ghanouni, and the leadership of the session moderators created a forum for education and collaboration. Our 7th International Symposium on Focused Ultrasound will take place in November 2020 in the Washington, DC area. We will send more information as plans come together. Taiwan-based focused ultrasound manufacturer NaviFUSrecently announced the start of its first clinical trial for glioblastoma. To date, three patients have been treated. Researchers at Chang Gung Memorial Hospitalare investigating focused ultrasound to induce opening of the blood-brain barrier (BBB) in patients with glioblastoma using optically guided, neuronavigational technology. The safety and feasibility study uses the company's proprietary system to noninvasively treat these deadly cancers. Today marks World Pancreatic Cancer Day, and much is being done in the field of focused ultrasound to address the deadly disease. In a interview on our blog, Dr. Joo Ha Hwang of Stanford University recently spoke about his work over the past 18 years enhancing drug delivery using focused ultrasound to give these patients hope. Foundation Board of Directors member Andrew von Eschenbach, MD, was recently appointed to two important Boards – Bausch Health and the Reagan-Udall Foundation for the Food and Drug Administration (FDA). Dr. von Eschenbach will lend his experience as the former FDA Commissioner and former Director of the National Cancer Institute. Bausch Health is a global company dedicated to improving people's lives with their healthcare products. The Reagan-Udall Foundation is an independent nonprofit organization that works to advance regulatory science and the scientific mission of the FDA. Researchers at the University of Virginia have investigated the effects of focused ultrasound therapy on the quality of life of patients with tremor-dominant Parkinson’s disease. The team used data from a Foundation-supported clinical trial, and their results were published last week in Neurology. The 27 patients in the trial reported improved quality of life at three- and twelve-months follow up. The original trial data were published in JAMA Neurology in November 2017. Last month, researchers at the University of Maryland Medical Centerbecame the first team in the US to treat neuropathic pain using noninvasive focused ultrasound therapy. Led by Dheeraj Gandhi, MD, the early-stage, pilot trial aims to establish the safety of destroying a small target in the brain to treat chronic neuropathic pain using Insightec’s Exablate Neuro device. More than 1,500 researchers from around the world attended the IEEE International Ultrasonics Symposium October 22-25 in Kobe, Japan. The topics on focused ultrasound therapy included ultrasound-mediated drug delivery, neurostimulation, monitoring techniques, microbubbles and cavitation in ultrasound therapy, and new technologies to enhance ultrasound therapy. The 176th Meeting of the Acoustical Society of America (ASA) was held November 5-9, in Victoria, British Columbia, Canada. With an overall mission to generate, disseminate, and promote the knowledge and practical applications of acoustics, the meeting included several presentations of interest to the focused ultrasound community. Researchers from the Foundation were invited to present their recent simulation study that developed and validated algorithms for how ultrasound propagates through the skull. Additional topics in the programincluded blood-spinal cord barrier opening, blood-brain barrier opening, droplet vaporization for mechanical brain tissue ablation, additional simulation work, and much more. Have you read the new journal articles about using focused ultrasound to treat cardiac arrhythmias, Alzheimer’s disease, and Parkinson’s disease? Recently published work by scientists from two focused ultrasound Centers of Excellenceinvestigates a transesophageal application for cardiac ablation and describes the outcomes from preclinical studies that examine the effects of focused ultrasound on beta-amyloid in Alzheimer’s and on Lewy pathology in Parkinson's. The Journal of Therapeutic Ultrasound (JTU)will close at the end of the year and is no longer accepting submissions. Launched in 2013 through a partnership between the Foundation and the International Society for Therapeutic Ultrasound, the JTU was the first open-access journal dedicated to the field. “The JTU served as an important bridge until mainstream journals adopted an open-access policy, and now it has fulfilled its purpose,” says Foundation chairman, Neal F. Kassell, MD. Moving forward, all articles will be archived and fully searchable. Employees at the Austin subsidiary of EDAP TMS recently participated in the ZeroProstate Cancer Run/Walk. Dubbed the "HIFU Fighters," the EDAP team raised awareness for the disease and Focal One, their noninvasive focused ultrasound treatment option for patients with the disease. Focal One earned FDA approval earlier this year. Zero is an organization dedicated to ending prostate cancer. The 176th Meeting of the Acoustical Society of America (ASA) was held November 5–9, 2018, in Victoria, British Columbia, Canada. With an overall mission to generate, disseminate, and promote the knowledge and practical applications of acoustics, the meeting included several presentations of interest to the focused ultrasound community. Researchers from the Focused Ultrasound Foundation were invited to present their recent simulation study that developed and validated algorithms for how ultrasound propagates through the skull. Additional topics in the program included blood—spinal cord barrier opening, blood-brain barrier opening, droplet vaporization for mechanical brain tissue ablation, additional simulation work, and much more. Patients who are interested in participating in this trialshould contact Charlene Aldrich at (410) 328-5332. Today marks the close of the 6th International Symposium on Focused Ultrasound, a meeting that further exemplified the field’s immense progress and the technology's potential to transform medical therapy. More than 450 attendees heard 250 presentations on the latest research in cancer and cancer immunotherapy, neurological disorders, cardiovascular disease, pain, and more. In the past two years, there have been key clinical milestones in many neurological indications, including brain tumors, epilepsy, Parkinson's disease, Alzheimer's disease, OCD, and depression. There have also been milestones achieved in veterinary medicine. A summary document will be made available in the coming months, and videos of the plenary sessions and special presentations will be available on our website and distributed soon via email. The Foundation has released its Summer Progress Report, which includes notable achievements over the past four months. Highlights in the document include the presentation of Alzheimer’s disease clinical trial results, the publication of the annual State of the Field report, and the first co-funded cancer immunotherapy grant with the Cancer Research Institute. Foundation Chief Scientific Officer Jessica Foley, PhD, was an invited speaker at the Third Annual Women Building Bio conference, organized by long-term Foundation partner the Virginia Biotechnology Association. Dr. Foley shared the extraordinary potential of focused ultrasound and the Foundation's work to advance the field. Women Building Bio is a one-day regional conference converging extraordinary men and women, industry and academia, researchers and innovators, professionals and decision-makers to cultivate relationships and make an impact. Avanti Godbole joined the development team full-time after working at the Foundation throughout her capstone project for the Frank Batten School of Leadership and Public Policy at the University of Virginia. Paige Rice will serve as Chief of Staff, working closely with the Chairman and the development team in support of the Foundation’s mission. Lastly, Emily Whipple, PhD, has signed on as Director of Strategic Initiatives to help develop and implement projects and programs that promote the adoption of focused ultrasound. Across the medical device industry there is a strong startup scene, and the focused ultrasound field is no exception. These startup companies historically have excelled at innovation and engineering, but they have not been expected to go through the entire product development process. That paradigm is now changing. The intricacies of getting a device through regulatory approvals and successfully commercializing it can be difficult. Learn what the Foundation is doing to guide startups as they navigate new ground. This week, Gary Shapiro, CEO of the Consumer Technology Association(CTA), delivered a keynote address on technological innovation and the barriers faced in medicine at the Foundation's biennial Symposium. CTA works to break down these barriers partly through their Let's Go Humans initiative, the tech industry's "rallying cry for supporting and championing the kinds of emerging technology that betters our world." During his talk, Shapiro debuted the latest Let's Go Humans video, featuring Julia, an essential tremor patient whose life was changed by focused ultrasound. Insightec recently announced that Medicare benefit coverage for their Exablate Neuro device to treat essential tremor was expanded to an additional nine states, bringing the total number of states covered to 25. Most recently, patients in Alabama, Georgia, North Carolina, South Carolina, Tennessee, Virginia, West Virginia, Kentucky and Ohio gained coverage. See coverage from Mass Device. Researchers at the West Virginia University (WVU) Rockefeller Neuroscience Institute have treated the first patient in a new, groundbreaking clinical trial utilizing focused ultrasound to open the blood-brain barrier in patients with early Alzheimer’s disease. The team, led by neurosurgeon Ali Rezai, MD, will evaluate whether focused ultrasound reduces the debilitating plaques and cognitive decline that are the hallmarks of the disease. 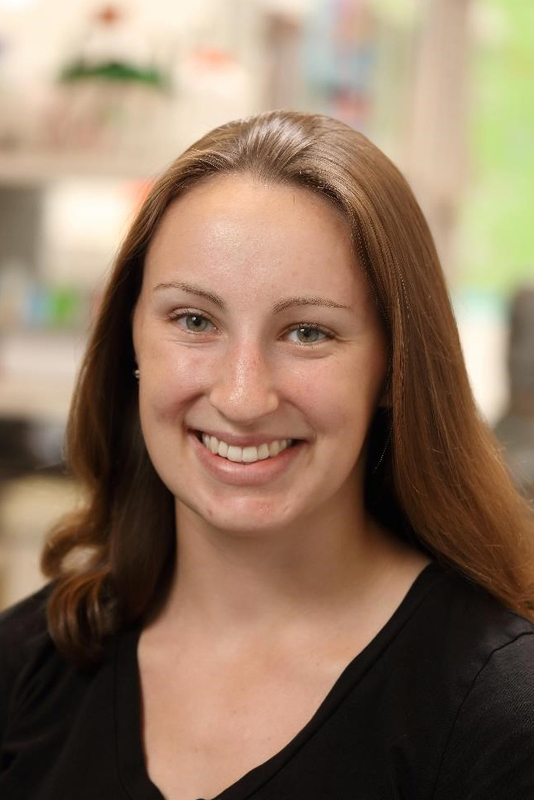 Natasha Sheybani, a fourth-year PhD candidate and member of the Price Laboratory in the Department of Biomedical Engineering at the University of Virginia, was recently awarded a Predoctoral to Postdoctoral Fellow Transition Award by the National Cancer Institute. The award is intended to aid students who aspire to start an independent cancer research lab. 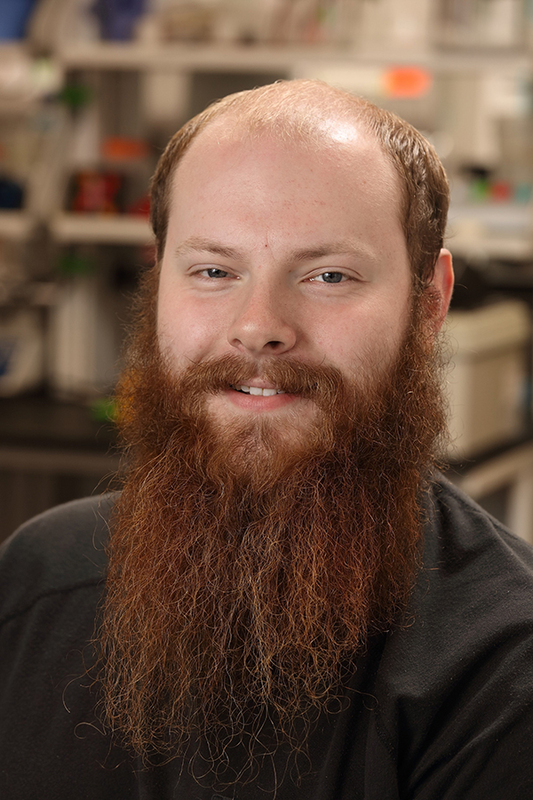 With the goal of more efficiently delivering molecules to brain tumors, Tyrone Porter, PhD, and Nathan McDannold, PhD, collaborated on a project to package and hide small interfering RNA (siRNA) within nanoparticles. They then used focused ultrasound to deliver an adequate amount of them to turn off genes that allow brain tumors to grow. “Translating Discovery to Cure” was the theme of the 60th Annual Meeting of the American Society for Radiation Oncology (ASTRO). Two posters included focused ultrasound research. The Columbia group presented data from their preclinical study using focused ultrasound to open the blood-brain barrier for drug delivery after stereotactic radiosurgery. A collaborative Canadian group presented interim results from a large clinical trial of recurrent cancer after radiation therapy. Cancer immunotherapy made headlines recently when two researchers, James P. Allison and Tashuku Honjo, received the Nobel Prize in Physiology or Medicine for their work in employing the body’s immune system to fight cancer. Their research has led to the development of a new class of immunotherapeutics called checkpoint inhibitors. The Foundation’s Cancer Immunotherapy Program is dedicated to advancing the use of focused ultrasound to enhance immune-based treatments of cancers, particularly through identifying new combination treatments with drugs, including checkpoint inhibitors. Jill O’Donnell-Tormey, PhD, leads the Cancer Research Institute, a key Foundation partner, and gave the Foundation’s most-watched webinar on cancer immunotherapy and how focused ultrasound may affect the field. This month’s research highlights come from the 6th International Symposium on Focused Ultrasound, held this week in Reston, Virginia. Researchers from around the world presented the latest data on focused ultrasound applications for the brain, cancer immunotherapy, liver, lung, veterinary medicine, and more. Device manufacturer Insightec recently announced that the US Food and Drug Administration has approved their Exablate Neuro device to be used with MRI’s designed and manufactured by Siemens Healthineers to treat essential tremor patients. “Expansion of MRI compatibility for Exablate Neuro substantially increases the potential reach of incisionless brain surgery for essential tremor patients,” notes Insightec CEO Maurice R. Ferré, MD. See coverage in Mass Device. Maurice R. Ferré, MD, CEO and Chairman of Insightec, was presented with BioFlorida's 2018 Lifetime Achievement Award for his significant contributions to the medtech industry by BioFlorida at their annual conference. BioFlorida supports the advancement of the life sciences and represents 6,200 establishments and research organizations in the state. 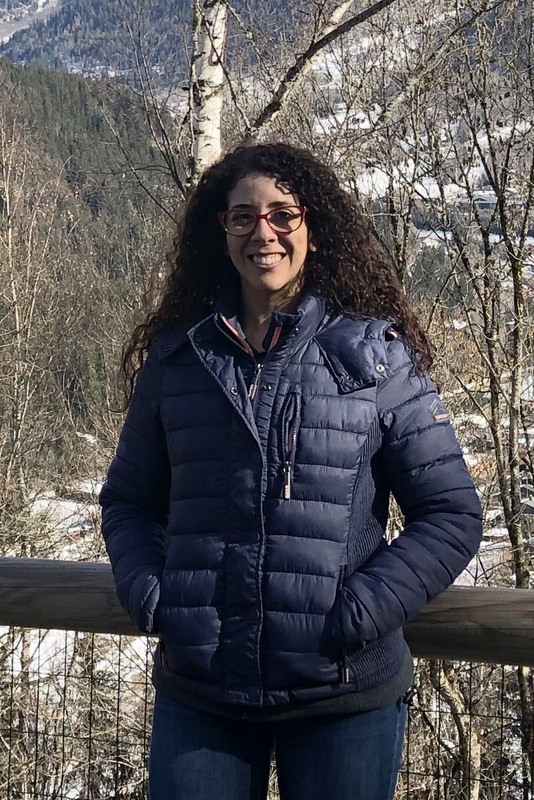 Natasha Sheybani, a fourth-year PhD candidate and member of the Price Laboratoryin the Department of Biomedical Engineering at the University of Virginia, was recently awarded a Predoctoral to Postdoctoral Fellow Transition (F99/K00) Award by the National Cancer Institute. The award is intended to aid students who aspire to start an independent cancer research lab. This month’s research highlights come from the 6th International Symposium on Focused Ultrasound, held this week in Reston, Virginia. Researchers from around the world presented the latest data on focused ultrasound applications for the brain, cancer immunotherapy, liver, lung, veterinary medicine, and more. Which presentations garnered the most attention? Researchers at the West Virginia University (WVU) Rockefeller Neuroscience Institute have treated the first patient in a new, groundbreaking clinical trial utilizing focused ultrasound to open the blood-brain barrier (BBB) in patients with early Alzheimer’s disease. Led by neurosurgeon Ali Rezai, MD, the trial uses Insightec’s Exablate Neuro deviceto temporarily and reversibly open the BBB in regions of the brain affected by Alzheimer’s disease. Researchers will evaluate whether focused ultrasound reduces the debilitating plaques and cognitive decline that are the hallmarks of the disease. Alzheimer's disease is the most common neurodegenerative condition, and medical treatments to date have been only modestly effective at slowing cognitive decline and can only treat the symptoms. Researchers believe this is due in part to the BBB – a protective layer of cells that lines the blood vessels of the brain and prevents harmful substances, such as toxins and infections, from entering the brain. Unfortunately, it also prevents adequate amounts of some medications from reaching diseased brain targets. In July, results of a similar trial from a team at Sunnybrook Health Sciences Centre in Toronto were published in Nature Communications. That study demonstrated the feasibility and preliminary safety of focally, reversibly, and repeatedly opening the BBB in six patients. The first patient in the WVU Rockefeller Neuroscience Institute trial is Judi, a 61-year-old nurse who had to stop working due to disease-induced short-term memory loss. Preliminary results demonstrate that the BBB was safely and successfully opened. After the procedure, Judi was in good spirits and went home. In all, there will be 10 patients treated in this pilot trial. Those who are interested in participating at West Virginia University should contact, Anne Bolyard at (304) 293-6318 or . On Sunday, leading clinicians and researchers will convene in Reston, Virginia, for the 6th International Symposium on Focused Ultrasound. Social media users should share their experiences using the hashtag #FUSF2018. The program includes keynotes and special lectures from AdvaMed CEO Scott Whitaker, Consumer Technology Association (CTA) President and CEO Gary Shapiro, and Openwater CEO Mary Lou Jepsen, PhD. The pioneering work of Seung-Schik Yoo, PhD, MBA and Narendra Sanghviwill be recognized with the Ferenc Jolesz Memorial Award and the Visionary Award, respectively. Read on for more information about this groundbreaking meeting. And, it’s not too late to join us. Register now or sign up to view the livestream. The plenary sessions at the 6th International Symposium on Focused Ultrasound will be livestreamed beginning Monday, October 22 at 8:00 am ET. You must sign up to view the livestream. Please use the event program to select the presentations that you want to view. You can click a plenary category to reveal the speakers, abstracts, and timing for each presentation. Thanks to INSIGHTEC for sponsoring this year's mobile app. On Thursday, October 25, please consider sharing your data and experience during two special sessions. Do you have key focused ultrasound technology breakthroughs or gaps you’d like to highlight? Do you have notable focused ultrasound clinical treatment successes or failures? An interesting case to provide insight to others in the community? We are seeking Symposium attendees who would like to share two slides on either topic in a two-minute presentation. These sessions are scheduled back-to-back, starting Thursday at 8:20 am. To participate, please notify Jessica Foley of your interest by October 24. On Wednesday, October 24, Scott Whitaker, President and CEO of the Advanced Medical Technology Association (AdvaMed), will address participants at the Symposium. A top healthcare advocate and policy expert, Whitaker will discuss the benefits of technology in medicine – including focused ultrasound – for improving the lives of patients and for society in general, as well as current challenges and obstacles facing the industry during an onstage interview. Gary Shapiro, President and CEO of the Consumer Technology Association (CTA)™, which annually produces CES®, the global stage for innovation, will deliver a keynote address at the Symposium on Tuesday, October 23. Shapiro will discuss the importance of innovation at the intersection of technology, business, and healthcare. This year’s Symposium will include an impressive group of leaders in the field who will moderate presentations and discussions on their areas of expertise. The list of 37 moderators includes international representatives from 29 organizations within academia, industry, and government. The 12 scientists who have been selected for this year’s Young Investigator Awards will present their research during the Symposium. At the reception on Tuesday evening, young investigators will also have the opportunity to highlight their work and discuss their projects with colleagues. The winners, along with the titles of their abstracts, are available on our website. Thank you to all who applied for a 2018 Young Investigator Award! Receiving the highest peer-reviewed rating among submissions from the Foundation's 2017 and 2018 Global Interns, Brooke Ma’s abstract, entitled “Effects of focused ultrasound on delivery of intranasal GDNF DNA nanoparticles to the rat brain” earned her travel support to attend and present her work at the Symposium. 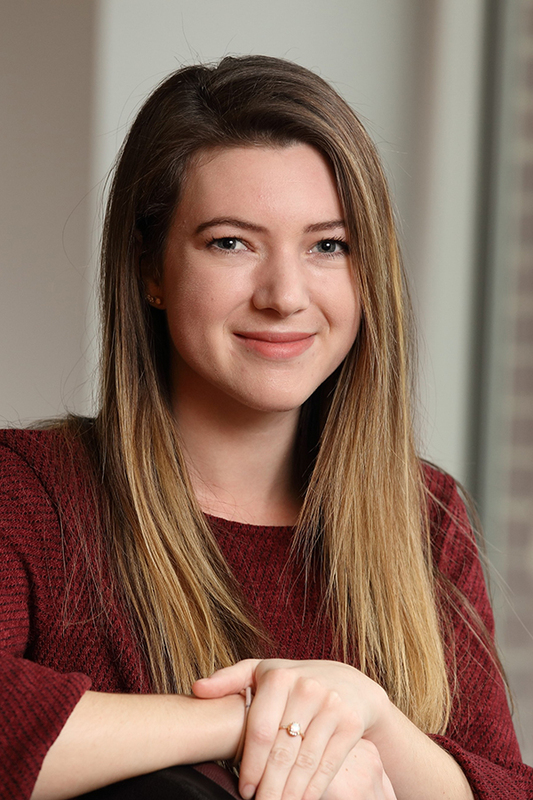 In all, 38 students took part in the Foundation's global internship program – where students from all over the world work under the direction of an academic researcher or industry mentor – over the past two years. Fourteen of them will present work at the Symposium. On Monday, October 22, The Foundation is hosting a briefing for media, patient advocacy groups, government officials, and others. Researchers and clinicians will highlight breakthrough advances in the use of focused ultrasound in cancer immunotherapy and for opening the blood-brain barrier (BBB). Q&A sessions will follow presentations on each of the topics. The Foundation thanks the organizations that have signed on to sponsor or exhibit at the 2018 meeting. We encourage attendees to visit the booths on display in the exhibit area and get to know the wide variety of companies. The 6th International Focused Ultrasound Symposium will be held at the Hyatt Regency Reston in Reston, Virginia. The meeting rooms are attached to the hotel. Registration begins on Sunday, October 21, at 4:00 pm on the second floor of the hotel, directly above the atrium. Wiehle-Reston East (Silver Line) is 1.6 miles from the hotel. Guests needing transportation to/from the Metro Station may take the Fairfax Connector Bus #505 which picks up and drops off behind the hotel for $1.75. The Symposium websitehas additional information for ground transportation and travel as well as information about the area. On September 19, best-selling author, business strategist, and serial entrepreneur Salim Ismailled a webinar exploring ways to accelerate the adoption of new technologies in legacy environments. The talk included tips for how to help adapt to the coming disruption in healthcare. Following the University of Maryland Medical System’s recent announcement that they are beginning the first US focused ultrasound clinical trial for patients with glioblastoma (GBM), we interviewed the study’s principal investigator (PI), neurosurgeon Graeme Woodworth, MD. Dr. Woodworth is Professor of Neurosurgery at the University of Maryland School of Medicine and Director of its Brain Tumor Treatment & Research Center. 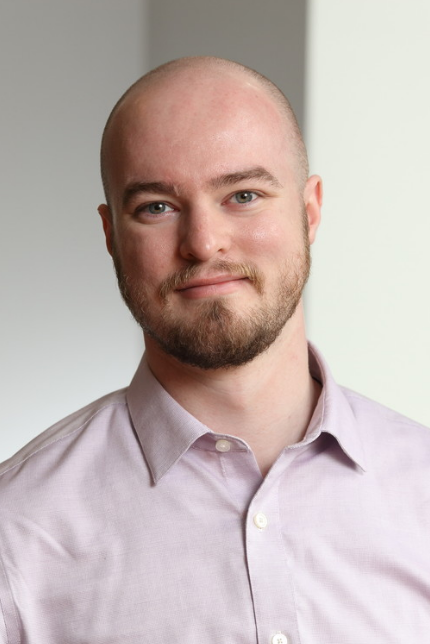 He is researching the use of focused ultrasound to open the blood-brain barrier to provide treatment options for patient with brain tumors (both glioma and metastatic) and other brain diseases. A member of the Foundation’s GBM consortium, Dr. Woodworth also serves on our Research Advisory Committee, a group tasked with ensuring that the External Research Awards Program supports catalytic research, creates awareness of focused ultrasound technology and techniques, and advances innovative clinical applications of focused ultrasound. With the recent publication of first-in-human clinical trial results of focused ultrasound-triggered drug delivery that could make a significant difference in the way that liver cancer is treated, the impressive work of the University of Oxford team led by Constantin Coussios, PhD, the Director the Institute of Biomedical Engineering and the Statutory Chair of Biomedical Engineering at Oxford, has been gaining the attention of physicians and researchers worldwide. Now in its seventh year, the Foundation’s summer internship program welcomed seven students to complete a wide variety of projects. This year’s team included more non-technical interns than in previous years. The group worked on everything from graphic design to the newly launched FUS Partners Program to more technical projects like 3D printed acoustic lenses and using software to automate and simplify research. Francesco Prada, MD, joined the Foundation as a Merkin Scholar in July 2017. The Foundation’s first clinical fellow, Prada began practicing neurosurgery in 2000 and to date, he has performed more than 500 ultrasound-guided neurosurgical procedures. After relocating from the Istituto Neurologico Carlo Besta in Milan, Italy, for the original 12-month appointment, Francesco has agreed to stay another year as the Foundation’s Brain Program Director. Read more about his work thus far and the future projects he has planned. In July, we reported on the University of Oxford’s first-in-human clinical trial results of focused ultrasound-triggered drug delivery that could change the way liver canceris treated. Constantin Coussios, PhD, the Director of the Institute of Biomedical Engineering at Oxford, led this impressive research. We asked Professor Coussios to tell us more about how he became interested in focused ultrasound, his current projects, and his plans for the future. Kevin Lee, PhD, Harrison Foundation Professor of Neuroscience, Professor of Neurosurgery, and Member of the Brain, Immunology, and Glia Center at the University of Virginia Health System (UVA) recently received a $2.5 million federal grant to explore a novel method for treating epilepsy using focused ultrasound. The R01 grant was awarded by the National Institute of Neurological Disorders and Stroke (NINDS), which is part of the National Institutes of Health (NIH).